As a pianist and music teacher, I have always appreciated the beauty and complexity of classical music. Listening to CDs is of course wonderful, but listening to musicians in concert is a whole new experience. 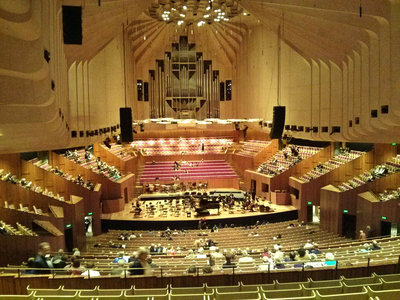 And so I ask, where is the best place to listen to a classical music concert in Sydney? Great question, really makes you think. I keep thinking the Sydney Opera House / The Sydney Symphony Orchestra. I agree, listening to classical music poses many benefits. It might sound strange, but some of the most captivating classical music I've heard has actually been from buskers. Just a couple of days ago there was a great string trio on George Street in the city, and the Pitt Street Mall will often have some great talents busking.